The concept (or, the principle) of “access to justice” has been brought to the attention of the local and regional populations because of the campaign for having the Caribbean Court of Justice (CCJ) as the final recourse for justice in all of the member-countries of Caricom, and thereby to establish a ‘unique’ Caribbean jurisprudence (system of laws and court-case proceedings) for the region. Specifically for Grenada; this concept is being engaged for the anticipated November 2018 constitutional referendum on the CCJ, but without enlightening the citizens about the meaning and application of the concept, as well as on the philosophy and policy for rating the referendum as the priority for promoting good governance, socio-economic welfare, judicial reforms, and national development at this point in time. Instructively; there has not been any bearing, or deliberations, or pronouncement by the powers-that-be, publicly during the March 2018 general elections, intended for the CCJ referendum. Unfortunately however; the proponents for the CCJ are bent on sending their seemingly major message to the Grenadian people that justice is confined to accessing remedy for court-cases and that access to justice is only possible or can only be realised with the CCJ. Moreover; the people are ridiculed and rebuked for trying to relate the concept of “access to justice” to the other aspects of socio-economic welfare, including the operational status of the local legal and court system. The previous internet-circulated articles on the issue, “Is Grenada’s CCJ referendum really about access to justice” (Part One and Part Two), advise that it is critical for the citizens to evaluate the concept in terms of past and present experiences and the rationale and reality of the message which is conveyed. It must be understood that the concept “access to justice” has universal coverage and touches thematic issues of human rights, participatory democracy, people’s empowerment, the rule of law, and the delivery of public services. Various institutions (advocacy, academic, professional, etc) give telling verdicts on the concept. It is quite apparent therefore that the narrowest interpretation of the concept as representing only the formal ability to appear in court, and not for example in the broadest sense of the wider social context of the court system and the systemic barriers faced by different members of the community, is of special interest and emphasis for the proponents of the CCJ; according to the Alberta Civil Liberties Research Centre (www.aclrc.com/what-is-access-to-justice/). If indeed the Government and Grenada Bar Association hold this limited school of thought on the concept, then it is no wonder that there are indications of they being unperturbed and unconcerned about the litany of actual ills and expressed grievances on the administration of justice locally, and this should speak volumes about their sincerity to the people and self-serving purpose for the referendum. In an explicit tone, the United States Institute of Peace explains (via https://www.usip.org/guiding-principles-stabilization-and…the-web…/access-justice) that “access to justice” is more than improving an individual’s access to courts or guaranteeing legal representation. The Institute defines the concept as the ability of people to seek and obtain a remedy through formal or informal institutions of justice for grievances, in compliance with human rights standards. The notion is given that there is no access to justice where citizens (especially specially marginalised groups) fear the system, see it as alien, and do not access it; where the justice system is financially inaccessible; where individuals have no lawyers; where they do not have information or knowledge of rights; or where there is a weak justice system. Specifying the avenues or aspects; access to justice involves normative legal protection, legal awareness, legal aid and counsel, adjudication, enforcement, and civil society oversight. The Law Council of Australia also hypothesizes its stance on the concept of “access to justice”, (https://www.lawcouncil.asn.au/justice-project/access-to-justice). The Council concludes in a Justice Project that the rule of law and human rights of all people are core tenet of our modern democracy and having access to justice, is an important part of protecting those rights; however, the justice system doesn’t always work well for everyone and sometimes people can’t get access to justice. Some manifestations of access to justice would include getting the right information about the law and how it applies; understanding when there is a legal problem and knowing what to do about it; getting the right help with a legal problem, including from a lawyer; being able to deal with the legal problem and being able to understand the outcome; and making sure that one’s voice is heard when laws are made. The system which delivers access to justice should be fair; just in the results that it delivers; accessible to the people who need to use it; responsive to their needs; and properly resourced (also accountable). 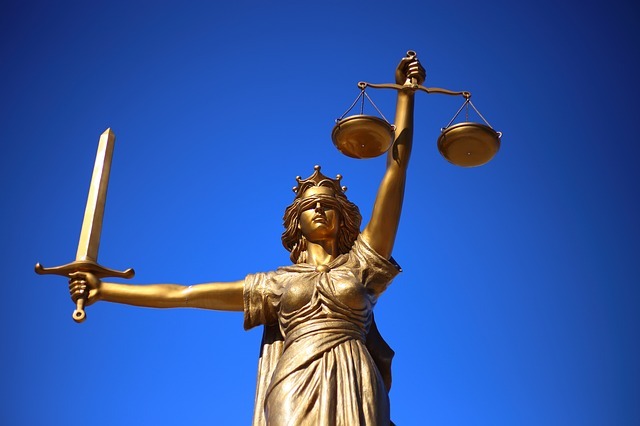 Above all; the United Nations (UN), which leads on issues confronting humanity, declares that “access to justice” is a basic principle of the rule of law and that in the absence of access to justice people are unable to have their voice heard, exercise their rights, challenge discrimination or hold decision-makers accountable (https://www.un.org/ruleoflaw/thematic-areas/access-to-justice…/access-to-justice/). The internet-document noted that The Declaration of the High-level Meeting on the Rule of Law emphasizes the right of equal access to justice for all, including members of vulnerable groups, and reaffirmed the commitment of Member States (including Grenada) to taking all necessary steps to provide fair, transparent, effective, non-discriminatory and accountable services that promote access to justice for all; the States receive the support of the UN in their efforts to ensure access to justice. Access to justice as directed to the CCJ referendum was not designed to benefit the mass of the Grenadian people, but a specific few with the opening or the licence to wield more exploitative power. The referendum is not “access to justice” in its absolute and accurate meaning and application, valuing the dignity and needs of the masses. Thus; this referendum deserves a Vote No by the alert masses.